Alongside Moto X, Motorola introduced Moto G smartphone for 179 dollars. Transition between Google and Lenovo, Motorola continues to operate. The company has particular to introduce the new Moto X. This smartphone is distinguished mainly by its appearance. Customizable, consumers can choose an original and elegant genuine leather back cover or bamboo. 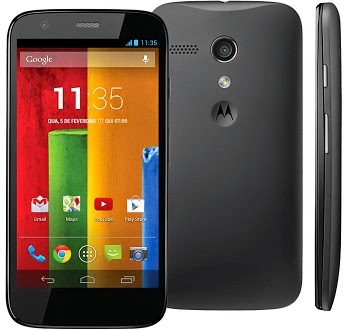 Another model on which consider Motorola is Moto G, its entry-level smartphone. Like the Moto X, the manufacturer introduced a new version while keeping the same name. The new Moto G is equipped with a HD 5-inch screen. Also, it consists of a quad-core Snapdragon 400 processor clocked at 1.2 GHz, RAM and 1GB storage space of 8 or 16 GB, expandable via microSD. In addition, it has a rear 8-megapixel camera sensor and front 2 megapixel and a 2070 mAh battery. Running Android 4.4, Moto G is dual SIM and 3G enabled, Wi-Fi, Bluetooth 4.0, microUSB and GPS. This model also benefits from improved with the insertion of two speakers up front. The new Moto G will soon be marketed and costs 179 dollars. A priori, the rear shell, the standard version will be available at 19 dollars and 29 dollars for the version with flap.